Nepal is known as an agricultural country in the world. The statics shows that more than 66% of its population directly involve in agriculture. However, the farmers are always deprived from the expected benefits. The living standard of farmers is very poor and it is due to following traditional methods of farming and the farmers are unknown about modern technology and ideas. The country itself has great opportunities in different sectors. The country is famous for its natural beauty, diversified landscapes, suitable climate, highest mountains, unique tradition, culture, heritage, and the neighbor of rapidly developing countries between China and India but the situation is very opposite at the moment. Every day the hundreds of Nepalese youths are migrating to Gulf countries and each day number of Nepalese workers are dying and becoming disabled in the foreign land. Jobs in the Gulf countries are even not easily accessible for Nepalese people, because most of the jobs are risky and unsecured. Workers need to pay big amount of money to the agent for very little salary. an alternate way to prevent people from leaving country. 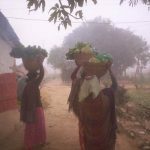 The research attempts to analyze the possibilities of agro tourism in Nepal for the sustainable development of the country. The research will also figure out the situation of the Nepalese workers in the Gulf countries and the market of agriculture products and the scope of agro tourism in Nepal. The agro tourism provides additional income source and employment opportunity to the traditional farmers and rural peoples which is better alternative way than migrating to the Gulf countries for employment opportunities. Development of agro- tourism has great scope in Nepal because of huge flow of tourist in rural areas, It gives new look for the agri-business. The present study is conducted on the agro tourism and is based on qualitative secondary data. The data has been furnished from the related articles, different research papers, reports and 10th plan document of the government of Nepal, websites of the government of Nepal and reports of UN, as well as Ministry of agriculture. between two powerful and fast growing economies in the world, with more than one third of its population living below the poverty line. Nepal had a late start in economic development. The government did not create a system of modern infrastructure and administration until the 1990s besides that although, it has opportunity to trap the trickled honey from largest growing economies by developing as a transit point for these two countries India and China but in reality Nepal´s economy is mostly depended on monsoon seasons and remittance inflows. This country has huge potential resources of hydro-electricity which is the real growth of GDP of the country for the year 2011 is 3.5 percent and despites of it Nepal’s social indicators remain well below the average of South Asian region. lower than that of men, and 81% of Nepal’s women are illiterate compared with 46% of men. 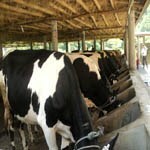 Agriculture is the major pillar of Nepalese economy. It provides employment opportunities to 66 percent of the country’s labor force and contributes about 39 percent in the GDP but the traditional farming methods, lack of irrigation and dependency on the monsoon, growing shortage of farm labor, lack of chemical fertilizer, political instability and poor access to markets are the major factors leading to the low growth and declining the contribution rate of agriculture in GDP. The estimated GDP per capital income for the year 2011 was $1300. One third of country’s populations are under poverty line and the unemployment rate is 46% which is increasing over the year and the remittance is driving the country’s economy. The main pillars of the Nepalese economy are as follows. 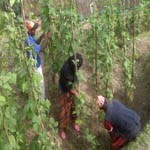 In Nepal, agriculture sector includes forestry, fishery, hunting and farming and the Nepali industrial activity also mainly involves the processing of agricultural products, including pulses, jute, sugarcane, tobacco, and grain and it is major pillar of the Nepalese economy, employing 70 % of the labor forces and generating 38 % of the total GDP. The scenario shows that agriculture holds high potential to have relatively wider impact on poverty reduction and inclusiveness. Since 1990s, the contribution rate in GDP is from agriculture and has declined about 11% till year 2008 and one of the reasons was because of the Maoist civil war, which forced youth to migrate to foreign land for security and economic reason, after the end of the civil war in 2007. The positive sign can be seen. 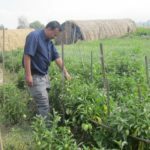 Agriculture continues to provide a broad base to the Nepalese economy but there are several reasons which cause the declination in contribution to the GDP. Tourism industry is fastest growing economic sector in Nepal because of its incredible natural beauty, unique traditional cultural and heritage. Its unique geographical position and latitudinal variation have made Nepal the biggest natural museum in the world. The elevation of the country ranges from 70meters above sea level to the highest point on earth, Mt. Everest, at 8,848 meters here; the festivals are more than the days in the yearly calendar. Nepal is the one of the admired tourist destination of the world, so tourisms a major source of foreign exchange earnings since Sir Edmund Hillary from New Zealand and Tenzing Norgey Sherpa from Nepal climbed the Mount Everest in 1953. Since that Nepal steeped the modern era and the tourism industry has been established as the major means to entirely support the nation towards the national development. 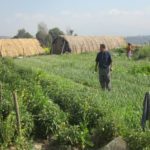 Before 1950, the agriculture was only one way of economic activity in Nepal but in recent year tourism sectors has become the lifeblood in the Nepalese economy. Travel and Tourism is an important economic activity in most countries of the world. Tourism has played vital role for the economic development of Nepal, according to a report published by the World Travel and Tourism Corporation(WTTC), tourism sector is one of the major job provider sector in Nepal. It has provided direct job to 412500 people which is 3.3 percent of the total employment in the country in year 2011 and also forecast to rise 2.8 percent for the year 2012. In the year 2011, the total contribution of travel and tourism and its indirectly supported jobs was 7.7 percent of total employment. 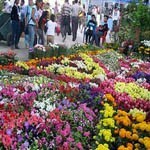 In year 2011, Nepal received a total of 735,965 international visitors and earned revenue worth Rs 28.6 billion. The total contribution of the tourism sector to the GDP was 8.8 Percent of the GDP which is Rs 119.1 billion. The WTTC report ranked Nepal 34th in terms of travel and tourism direct contribution to employment and 127 in terms of attracting foreign visitors among 181 tourist destinations. employment will rise to 3.7 percent in 2012. 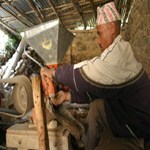 Nepalese economy has been passing through a stage of slow economy and high growth rate of labor force. The exact employment rate of Nepal has been always debatable because the various researches have shown different data. The educated unemployment rate is growing rapidly it is because of the access of educational institution. Before 1990, only limited government educational institute were available and people had to go abroad for the technical study. Nepal is a country surrounded by the lofty heights of the Himalayas and it is the land of incredible beauty and attraction. It is a land of colorful cultures, ancient history and people, picturesque scenery .It is popularly known as the birthplace of Gautam Buddha who laid the foundation of Buddhism in the country. It is also rich in traditions of art, culture and heritage. It is a treasure house of ancient art and culture. Thus, it is very beautiful country. So, the most of the tourists has main purpose to visit and see its beauty. Another main purpose of tourist is mountaineering. Nepal is mountainous country as the mountain range extends across the country from eastern to western edge. Nepal is home of eight of the 14 highest mountains in the world including Mt Everest which stands tall at 8848 meters. No wonder, then that Nepal has always been a proffered destination of mountaineers and lots of tourist arrive here for mountaineering. Trekking is popular sport in Nepal. The high peaks in Nepal are perfect places in enjoy trekking expeditions which has become the one of the attraction for tourist. Nepal has become the best place for recreational activities and entertainment. The country offers lots of recreational activities like paragliding, mountaineering, kayaking, bunjee jumping, river rafting, mountain flying e.tc. there are number of lakes including mountain lakes like Phewa lake, phoksundo lake, fewa lake etc. that are majestic in extent and beauty providing excellent adventure activities like boating,rafting and fishing in lakes of Nepal which attracts lots of tourists. Besides this, some arrive here to hold seminar and for official purposes where some for the trade and selling their products.According to the economic survey 2011/12 report among the total visitor arrivals 53.7% for general visitor,11.7% for trekking and mountaineering,8.7%for pilgrimage,4.1% for entertainment,2.4 %for trade,3.3 %for official visit,1.5% for seminars,0.3 %for rafting,4.1 %for other reasons and the remaining,9.5 % without major plans. The Ministry of Tourism and Civil Aviation in cooperation with the Nepal Tourism Board is responsible for preparing the annual reports and are also responsible for the tourism master plan and policies. The government of Nepal has policy to improve and extend tourism related infrastructures in existing and in new tourism sites. Government has always played positive role to build the capacity and to establish Nepal as a choice of Premier holiday destination with a definite brand image of service providers. Tourism industry is one of the largest industries in the world. Many countries have renovated their economies by developing country’s tourism potential. In recent years, the concept of the tradition tourism has been changed some new areas of the tourism has developed. The term agro tourism is also a kind of rural tourism, the concept of agro tourism is a direct expansion of ecotourism, which encourages visitors to experience agricultural life at first hand. It is closely related with the country side of rural areas and nature and has direct relationship with the agriculture activities. Agro tourism is the combination of agriculture activities and tourism. Agro tourism the way of responsible and sustainable tourism development. This advanced activity helps to lift up the socio-economic condition of the rural area by creating employment opportunities and the additional markets for the rural product and traditional cultural as well. The agro tourismcan be an alternative economic element for the country whose economy is largely dependent in agricultural and recreational tourism. In general, the agro tourism is the practice of attracting to visitors in the areas which are used for agricultural purpose. Many tourism activities can be added with little additional investment and small changes can results double benefits and increase the sustainability of the farm. Agro tourism can be many things, vegetable farming fruits picking, organic farming ,horse riding, visiting and overnight stay at farm, harvesting ,bed and breakfast, special events and traditional food festival celebration, bow hunting, fishing etc. mountains on the earth. Its tourism sectors is largely supported by the existence of the highest 21 Mountain in the world Mount Everest. Nepal has plenty of natural resources and traditional cultural and heritage sites, which has facilitated to make agro tourism more suitable, popular and interesting among both foreign as well domestic tourists. Every year the number of tourist visiting in the country is increasing significantly. Although the nature has provide unlimited resources, the country is one of the poorest country in the world. The primary occupation of the country is agriculture and due to verity of climate available in country has make possible to grow all kinds of fruits, vegetables and crops but young generation are largely attracted to the Gulf region. The country is bordered by giant countries India and China and it has not only opportunity to trap the trickled honey from largest growing economies by developing as a transit point for these two countries but also has huge potential scope to develop as a new cheap tourism destination for these largely populated country. Tourism and its related industry are the main sources of earning foreign exchange for Nepal such as a Handicraft industry is the largest exporter of the country. In the year 2010, the total amount of handicraft export to foreign country was NRS 3110 472 610, and in the year 2011 SWOT analysis of agro tourism in Nepal. wilderness tourism, adventure tourism ,rural tourism, cultural tourism and agro tourism. However there are some difference on above mentioned sectors. The difference between traditional tourism , ecotourism and agro tourism can be seen between traditional tourism, ecotourism and agro tourism. In the recent years, the concept of rational tourism has changed and new tourism sectors have developed. The different development stages of the Agro tourism is an innovative agricultural activity related to tourism. potentiality to generate large-scale employment and additional market and income sources to the rural households and traditional farmers. Nepal is agricultural country and one of the most major tourist destination in the world the country has huge potential capacity in agro tourism interns of suitable climate, diversified landscape, labor forces, demand of agro products and flow of tourist. Nepal has several conservation area located in every corner of the country which has make possible the tourism business reach each parts of the country. The agro tourism sectors and centers can be developed by changing small things in the firm with the little amount of extra investment. A goat or sheep firm can start agro tourism center by adding sheep or goat hunting activities with the bow and fish farming can allow the visitor for the fishing, grilling and accommodation facilities in the firm instead of selling them to the business houses. The traditional farmers can get extra income by selling food and accommodation. Nepal has high potential for producing varieties of agriculture products and livestock due to its geographical diversified structure, suitable climate and availability of huge water resources. Despite of the advantages, the country is still not self-reliant in agriculture products. In the fiscal year 2009/10 Nepal imported agro commodities worth of Rs. 79.89 billion which was 24 percent more compared to last fiscal year, and in the year 2010/11, the country meat production was 2, 76,665 metric tons but still not able to meet the demand and 11760 tons were imported from India which cost Rs. 5.46 billion. The demand of fish is also higher than the current production. So the country is meeting the demand by import of 4200 metric tons which cost 1.04. Requirements forth development of agro tourism Developing a new product is always difficult but vital for organization to get moderate and success. A successful tourism product will not simply innovate on itself, There must be some motivating factors. Tourism products require study and effort from related sectors interests based on policy, goals and objectives. Co-ordination and cooperation is a key to success that generally means forming a tourism association or committee, advice of experts to lead the tourism development activity in a particular destination. The main objective of tourism products is to create profit for the organization. Satisfied customers and potential customers are the source of profit and continued business. Successful business has the right product, in the right place, at the right time, to the right price and with the right quality. The demand of the product and the development cost of product is important factors while developing new product. In context of agro tourism development, farmer also require some basic infrastructure and service in the farm to established the agro tourism center. The individual small scale farmer also can start agro tourism who have land, farm house, fish pond or water resource and is interested to entertain the tourists. Apart from the individual farmer, agricultural co-operatives institute, Agricultural Universities, agricultural colleges may start agro tourism center..The farm should have accommodation facilities at same place and emergency medical cares with first aid box and should have traditional look and feel comfortable along with all minimum required facilities. The selection of right location is very important in business. The success of the agro tourism largely depends upon the selection of the right location. The location of the agro tourism operation should be must easy to arrive and have a good natural background and better to have sufficient parking space. 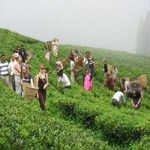 Urban tourists are interested to enjoying the nature and rural life. So, farmers should develop their center in the rural areas which is nearby the cities which can provide the large number of potential customers.